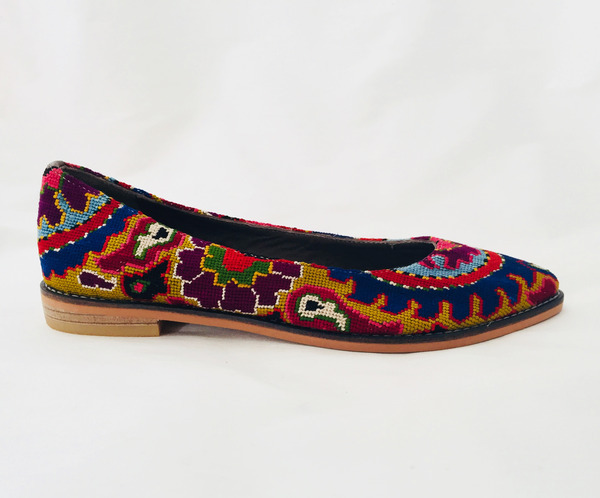 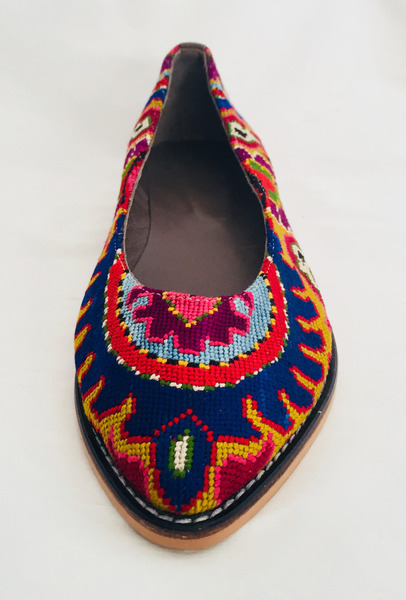 Silk Petit Point Ballet Flats from Uzbekistan. 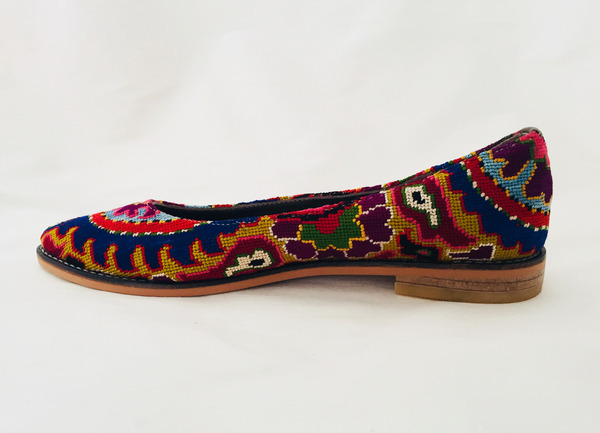 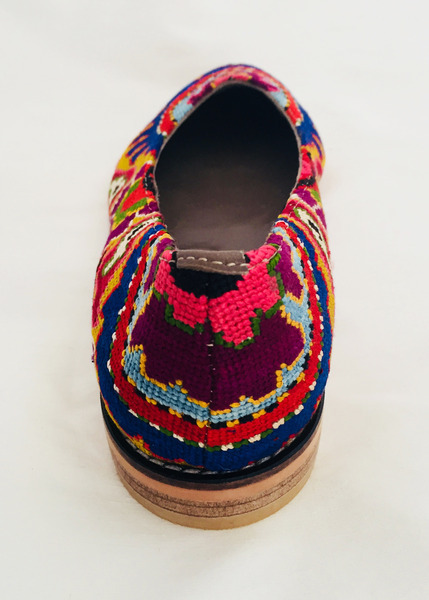 These shoes are created from hand drawn designs on cotton canvas, inspired by original designs from ancient Uzbekistan textile history. 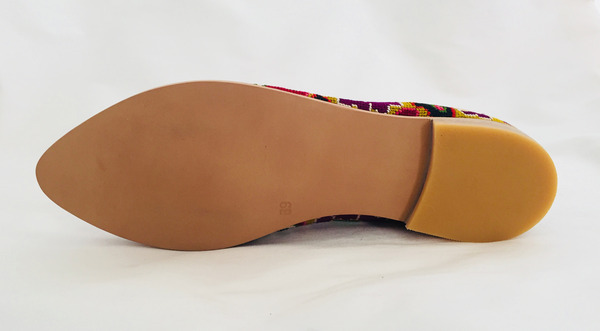 Heel measures 3/4".